At A – Z Fire Protection Ltd., our goal is your safety. One of Bermuda’s top fire protection companies, we’re committed to the preservation of life and property. Offering comprehensive services to island clients , we’re professional, economical and always available in case of an emergency. 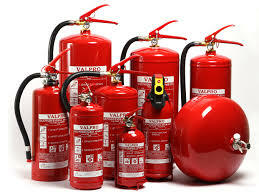 A-Z Fire Protection aims to provide the highest quality of fire protection products and services to island clients. We are responsible, forward thinking, innovative and focused on the needs of our customers and community.